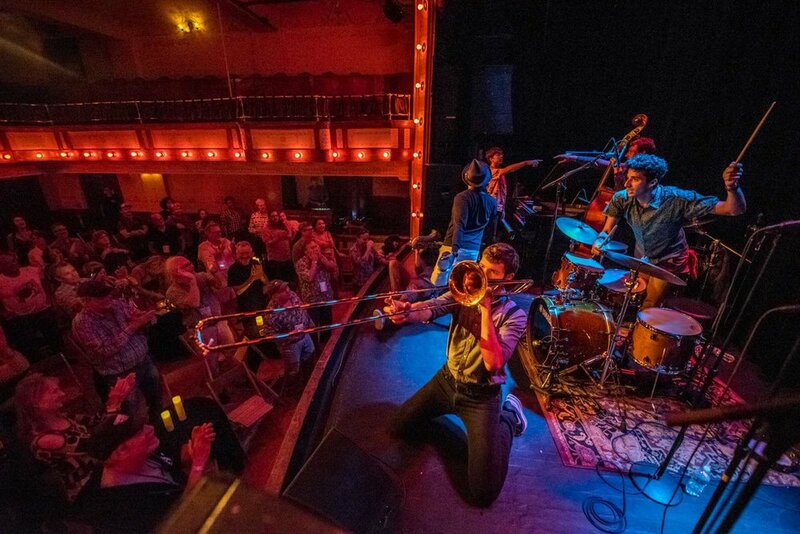 The Patron Experience is by far the best way to attend the Telluride Jazz Festival! 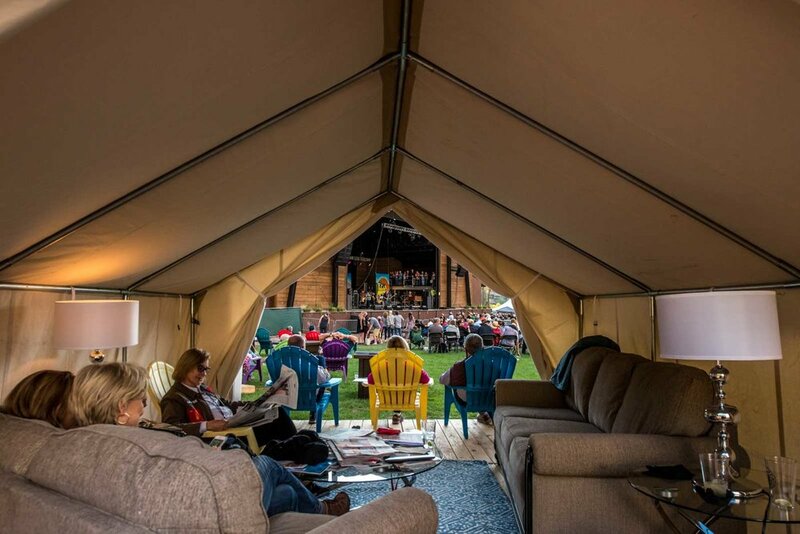 With an on-stage seated viewing area and catered meals with the artists backstage, Patron pass-holders will be treated to a weekend of world-class music, decadent food and drinks all surrounded by the unparalleled views of Telluride Town Park. Patron Passes include a charitable donation to The Telluride Society for Jazz, a nonprofit 501(c)(3), and supports music education and artist workshops throughout the festival. As such, a portion of the ticket cost ($200 on Early Bird Passes and $400 on Regular Passes) can be deducted on income taxes as a charitable contribution. Opening Reception - Telluride Jazz Festival has teamed up with One-To-One Mentoring to enhance the Welcome Reception by replacing the traditional kickoff event with exclusive access to the renowned “Taste of Telluride and Top Chef Competition” at the Peaks Resort in Mountain Village on Thursday, August 8, at 5 pm. Patron pass-holders will be greeted to a culinary tour of Telluride featuring creative cuisine, libations and live music from festival artists. 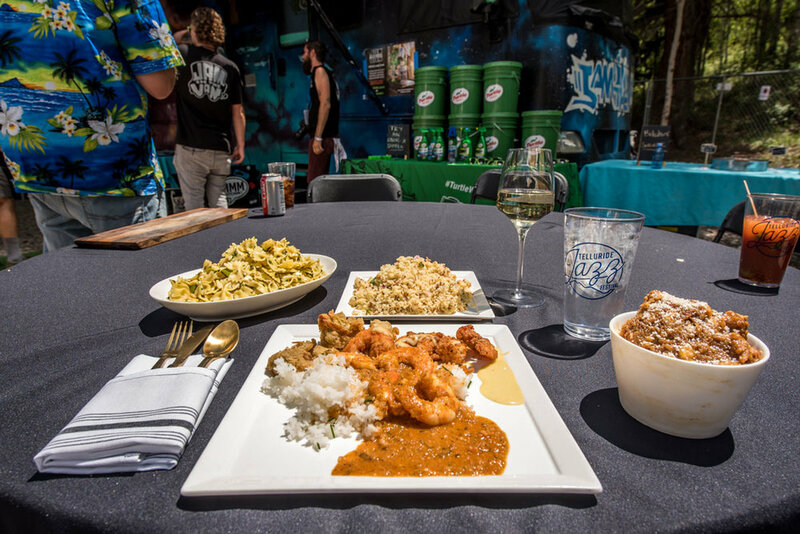 Throughout the evening, pass-holders will sample delights from a variety of restaurants and have a chance to interact with the premiere chefs in the Telluride area. The Top Chef Competition will highlight the reception as local chefs compete in a heated culinary show-down, alongside a Bartender Competition where mixologists will compete for the tastiest and most creative specialty cocktail after receiving a secret basket of ingredients. Early Bird priced Patron Passes sold out in record time. Regular priced Patron Passes are on sale now! Click below to get tickets Note: Patron Passes are only available in limited quantities. Patron or VIP - Which is for me? Click here to explore both options.